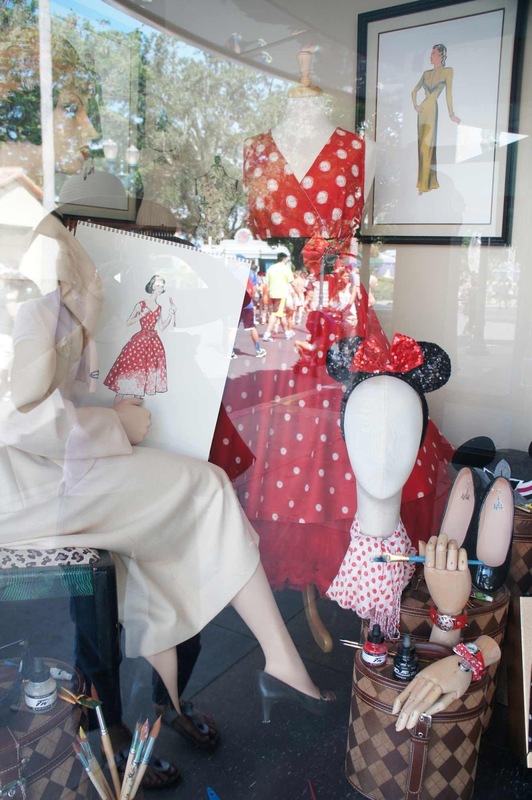 Sydney Shop Girl: Hollywood Studios. Shopping. Real Vegetables. #sequinsarekey $23.95 USD from Disney stores. I'm sitting at my computer wearing my #sequinsarekey Minnie Mouse headband the morning after my day and night in the world of Disney. 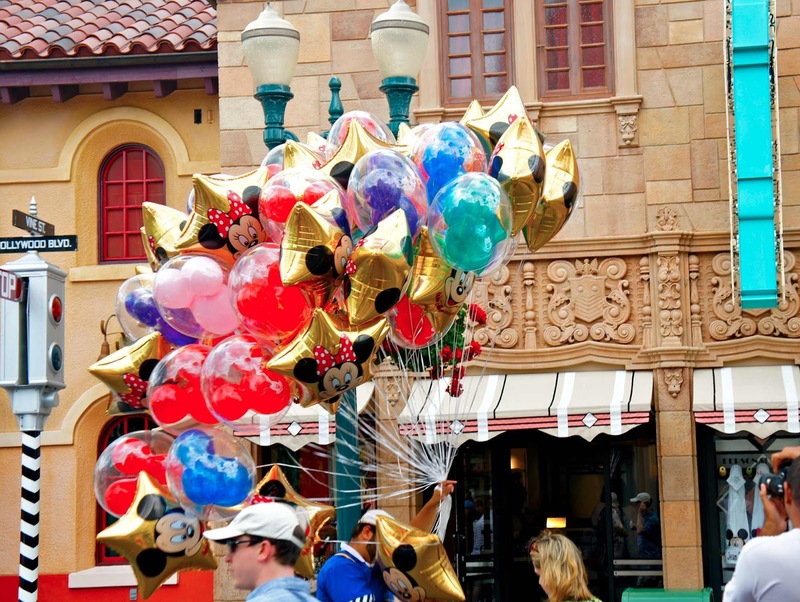 I have a million photos and I'm still floating on a Disney cloud of dreams, fun, drama and colour. I've been throwing around ideas in my head. The straight up photo journal approach beginning at the beginning and ending at the end? Lots of words or should I let the photos tell the story? 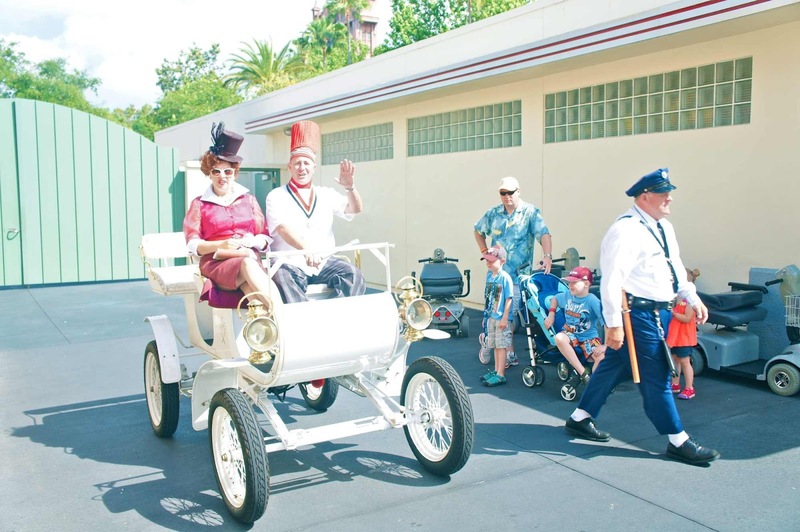 Or would that be too boring for the rare person whose heart is resistant to the spirit of Walt? And then there's the shopping and the food that happened along the way. Lots of material there but hardly as life changing as Budget 2014..... Which I haven't read up about properly yet so can't comment on beyond saying that I'm 110% certain I won't be the recipient of any tax benefits or middle class welfare for the foreseeable future. Which I'm coming to terms with but please tell me we still have our (not just the Treasurer's) ABC television and radio channels!! Okay, I've got a plan. 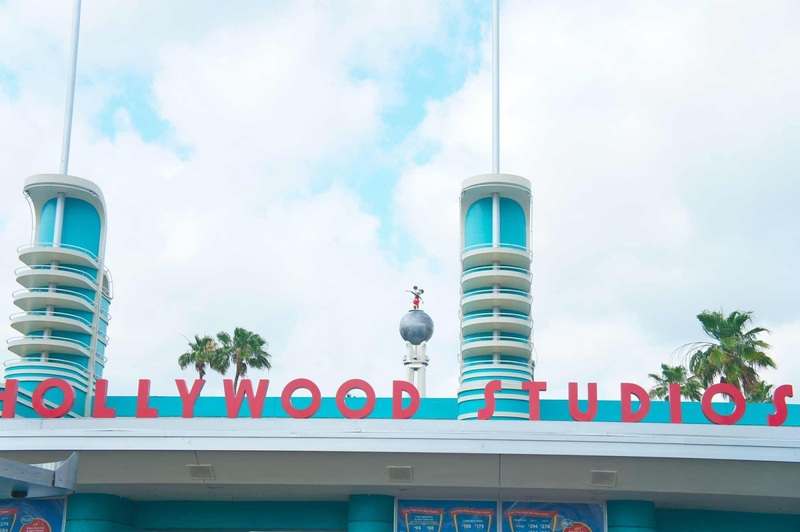 This post shall be about both Hollywood Studios and shopping. Both sources of happiness and hopefully of interest to at least some of you all or some of the time. 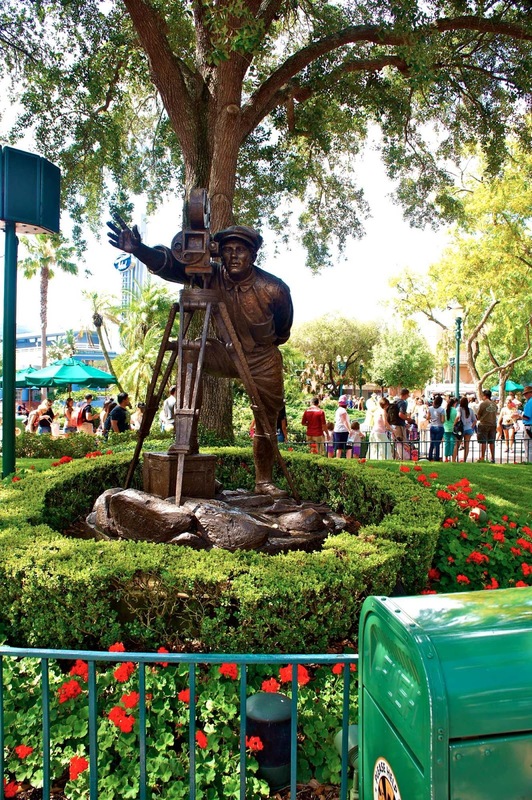 Magic Kingdom will have a post of its own. A little bit of Disney for everyone. A set of measuring spoons I bought for a workmate who loves to bake. $8.99 USD from the Disney stores. 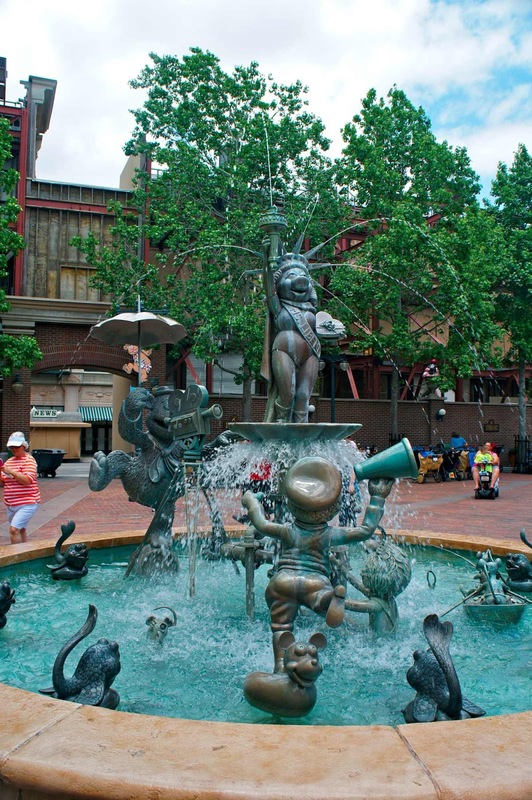 I used to think that the idea of Disney appealing to the young and the young at heart was purely advertising speak. But I don't think that's true anymore. Rediscovering your childlike zest for dreams and fun is one of those things that comes to you with maturity and life experience. To me, recapturing that aspect of youth is more of a priority than recapturing that youthful appearance the beauty industry implores us to do. It's also a more fulfilling pursuit. Cruising along in the fiscally neutral waters of Disney. One way of dealing with was actually Budget Night(mare) back home. 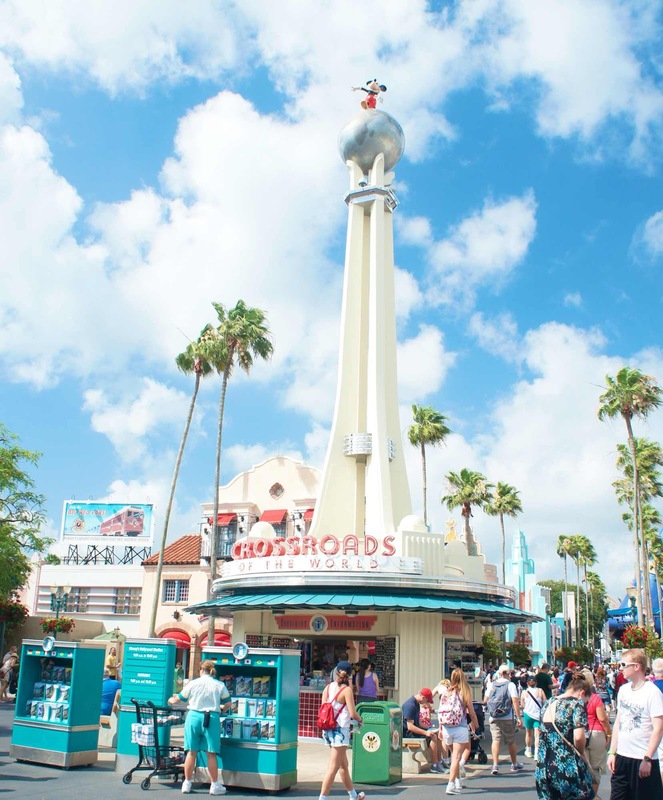 Our journey to Hollywood Studios, one of the four Disney theme parks at Walt Disney World was a pleasant 10 minute free ferry ride that departed from a pier behind our hotel. 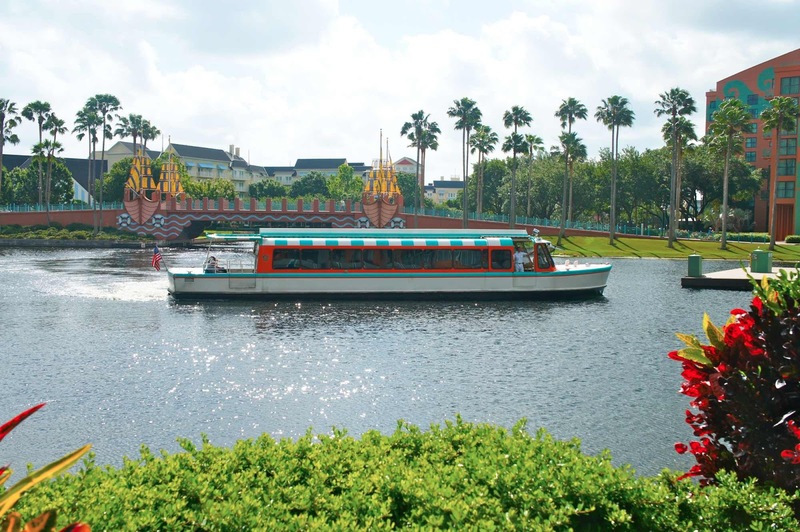 Ferries depart every 20 minutes from an hour before and after closing times of the theme parks. 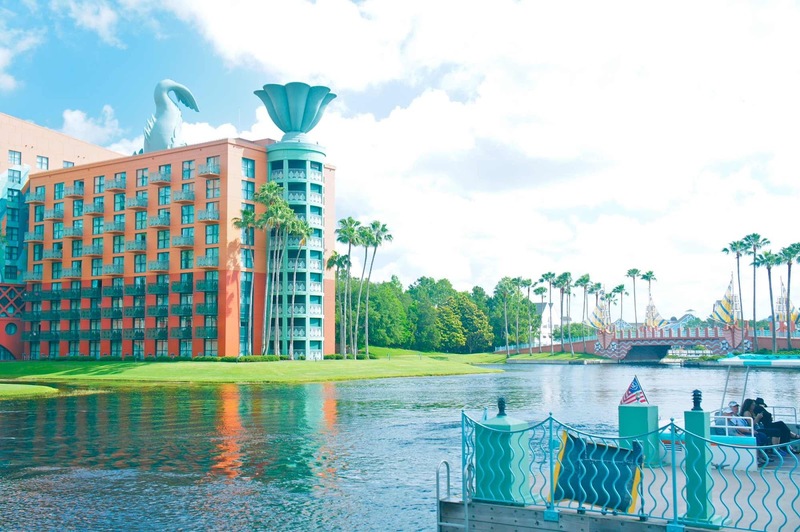 Guests of hotels that are Disney related properties are entitled to extra access to the parks as well (an hour before official opening and an hour after official closing). In addition to the ferries, there are free shuttle buses and clearly identified bus stops between all the theme parks and the linked resort hotels. 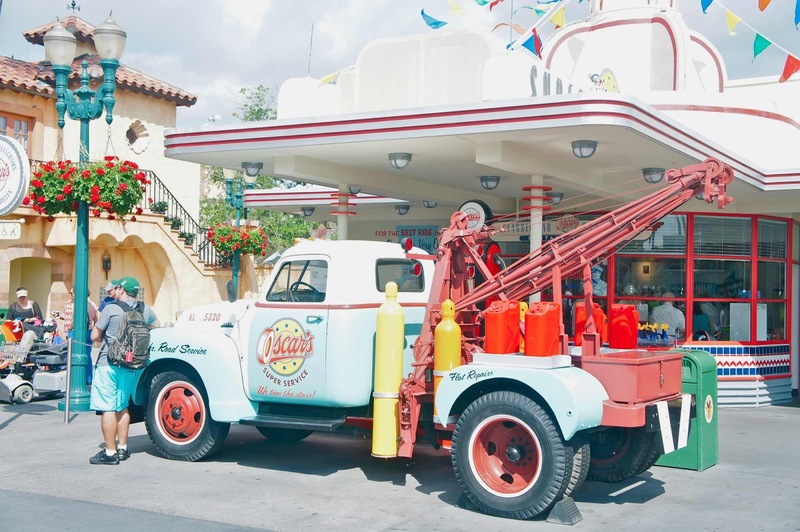 America is the land of theme park efficiency. The Walt Disney World Hotel as seen from the pier as I waited for the ferry. Hollywood Studios appeared on the horizon at the end of our ferry trip, in all its old school technicolour glory. 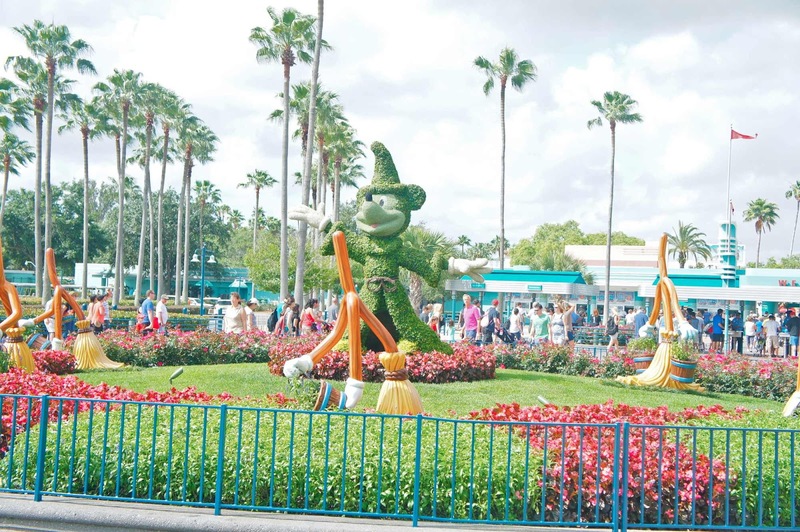 From the moment I saw the topiary Mickey dancing with his broomsticks on the front lawn, I knew we'd be in for a special day. My friends and I bought a one day Park Hopper pass which cost around $140 AUD. 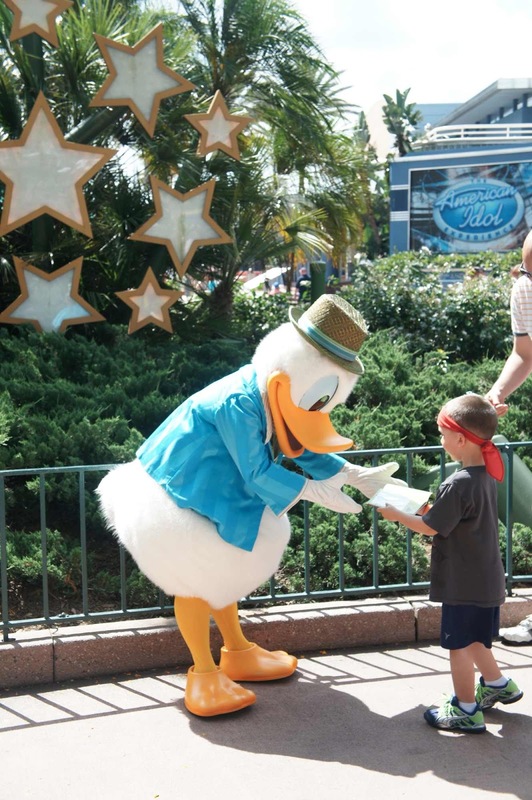 It enabled us to visit two parks of our choice in one day with use of the complimentary Disney buses back and forth. We didn't bother setting up Fast Pass accounts but you can do this with a smart phone app. Lots of people also had these Magicbands onto which you can upload your Fast Pass settings and also get photographs from the day linked up. We passed on these because we were going on what we hoped would be a fairly quiet weekday and (at the time), we didn't think we'd be going on any rides or watching any shows. The entry process is pretty speccy and very sci fi. 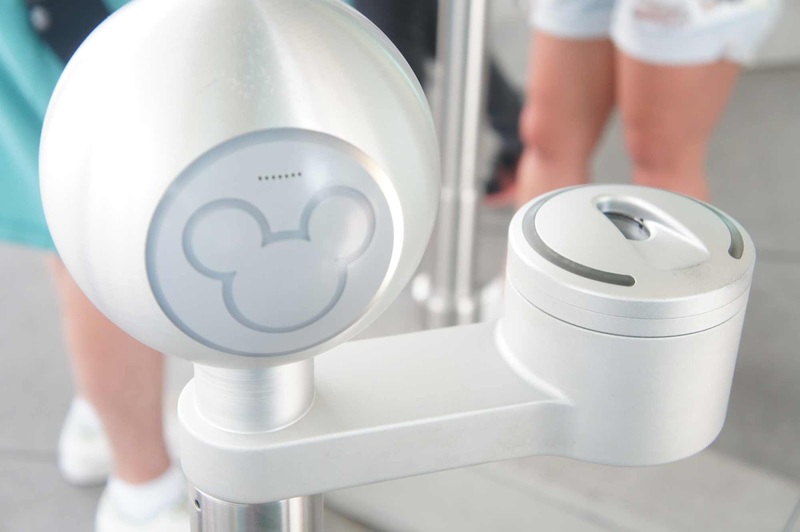 You wave your pass or MagicBand in front of the Mickey ears and put your finger on the scanner. If it all matches up, the ears and the finger pad light up and make a happy sound. I just love the way the slightly cloudy conditions set off the vivid colours around the park. We bumped into actors who kept in character despite the heat and sun to banter with us. Visitors were spun into their acts and encouraged to ham it up for photos. 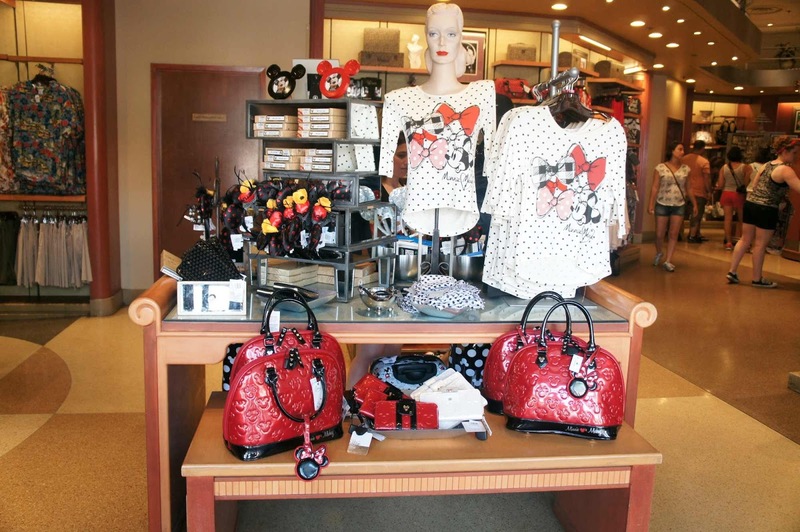 The Minnie Mouse themed store was one of my favourites. 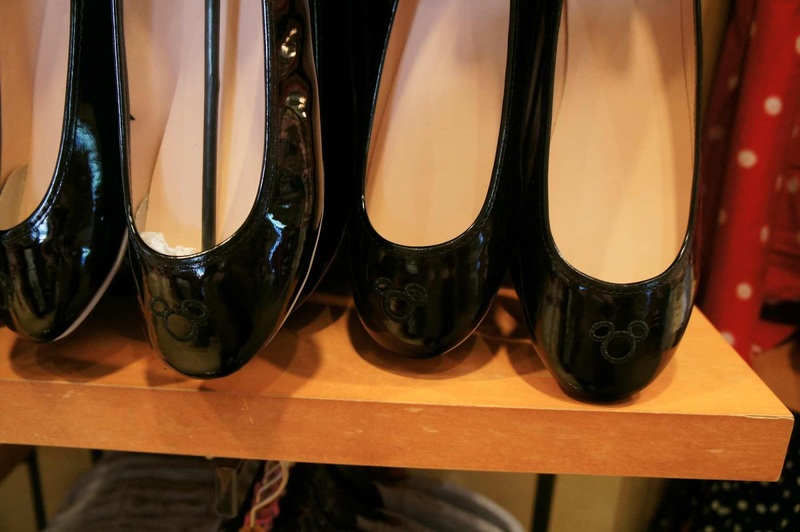 You could even purchase patent Minnie flats. 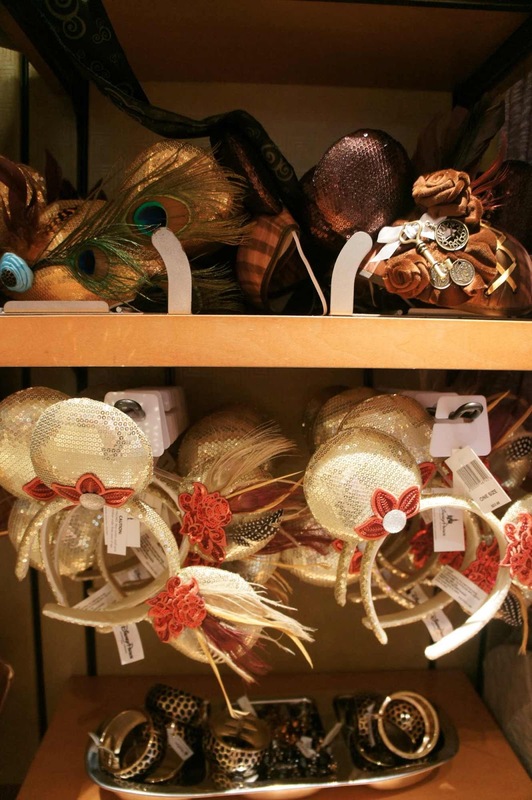 Minnie's ears were available in an array of designs that were grouped according to the theme of the area particular stores were located. This particular store had fascinator worthy sequinned or satined ears with gorgeous feathers, diamantes or bows attached. I bought two pairs for the children of a friend and I'm wondering if I did the right thing in buying each girl a different design. What if they fight over who gets which pair? I was very grateful that one of my friends was a theme park fanatic. She made it a point of encouraging us to try at least one thing in each area. 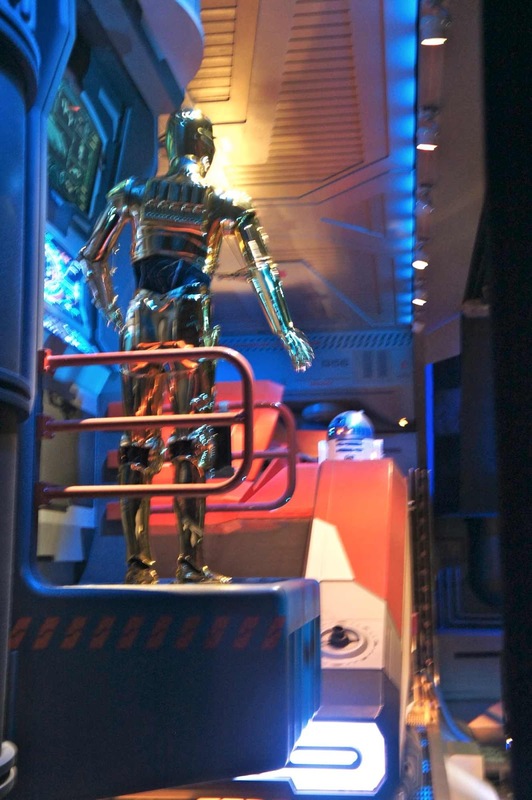 We started off with Star Tours which is based on Star Wars. Waiting for the 3D ride simulation was actually lots of fun. The waiting area was designed to look like a Tatooine airport and R2D2 and C3PO featured in their own little skit. And do you know what? I had the time of my life wearing those 3D glasses and swooping and rolling through a virtual joy ride through the stars. Random shopping photo time. These are my orthotic YSL Tribute wannabes (or Tribute tributes as Miss Kitty-Cat cleverly put it). $60 from the outlets and made by Timberland with a cushioned inner sole and lots of grip and stability on the ground. Wore them all day today and it was definitely more pleasant than if I had tried to do it in the real deal. All my childhood favourites were out meeting and greeting new generations of fans. 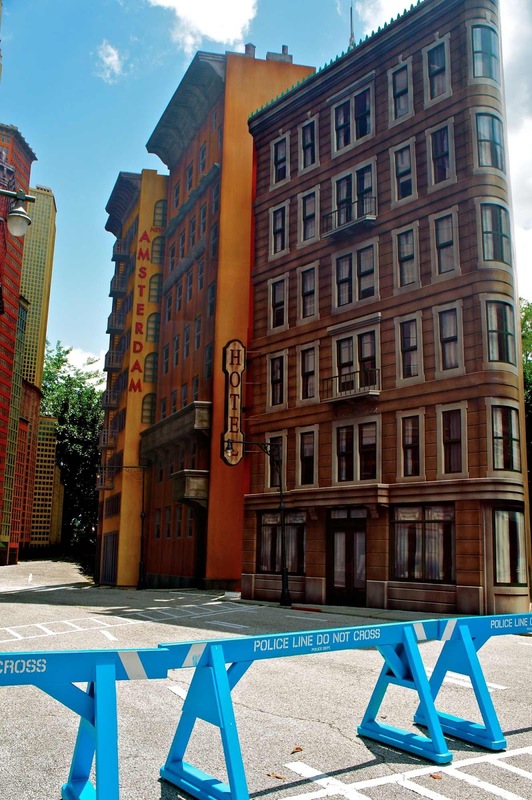 The Flat Iron set looked very New York in the middle of breezy, sunny Orlando. 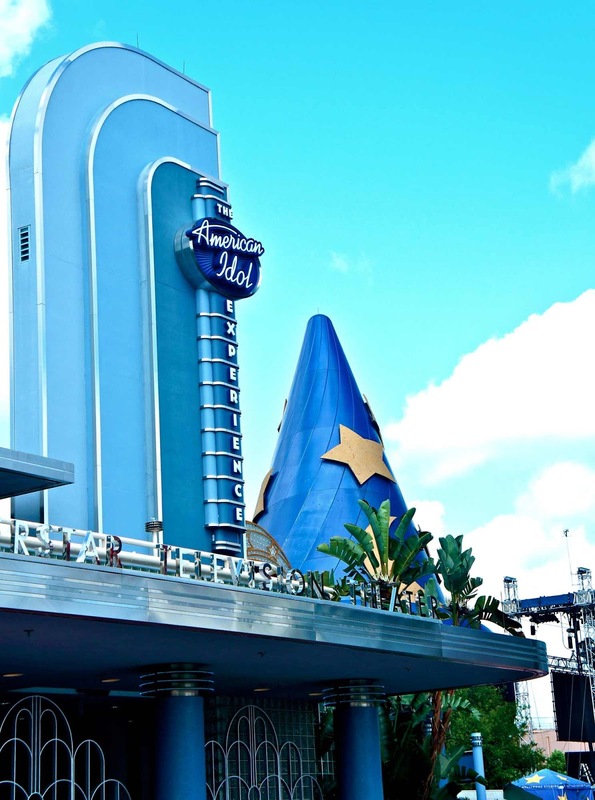 There was even an American Idol Experience where you can audition if you're game. 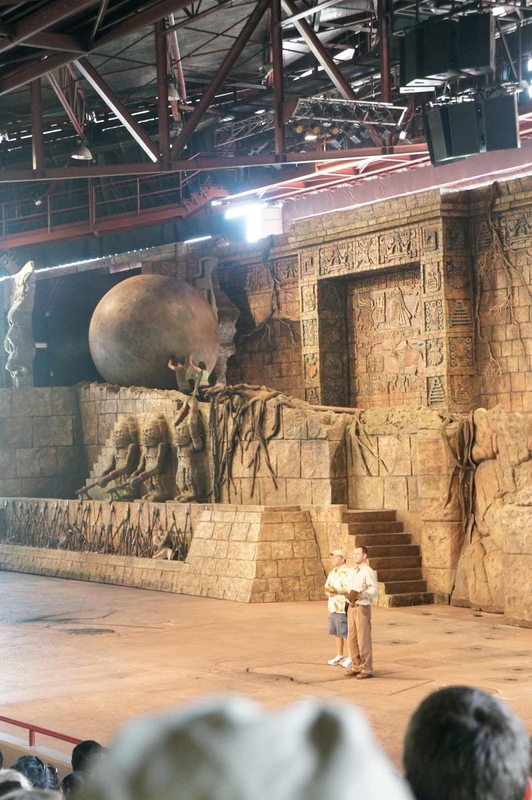 Next on our list was to watch a live show and we decided on the Indiana Jones stunt display. 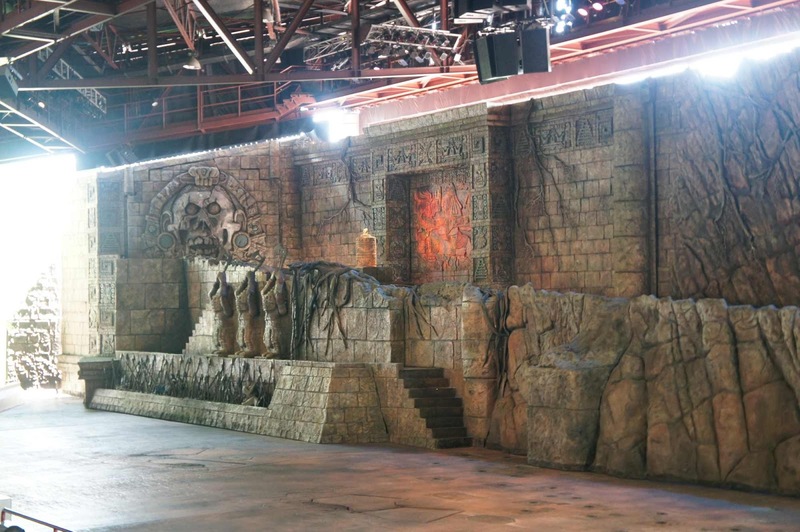 The set was amazing and brought back memories of primary school where watching an Indiana Jones film with my cousins was the highlight of the school holidays. The jellied monkey brains for dinner scene was relived in all its gory glory over many a social studies class when school resumed. If you weren't excited or having fun before the show started, the warm up act would set you straight. I was really impressed at how engaging the cast were with the audience. There was lots of audience participation, lots of witty banter and it never got cheesy. The crowd loved it. One of the stunt cars ready for action. 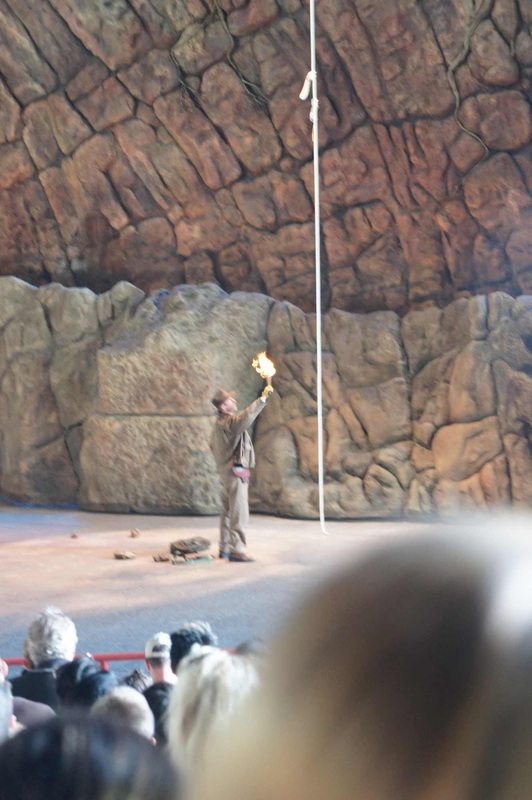 The show began with a professional stuntman falling through the roof. Then the director and his assistants took to the stage to explain some of the technicalities of staging car chases and fight scenes. Crew members demonstrating just how light the boulder that rolled down the set is. They could easily roll it back up hill between the two of them as the producer and director chatted to us. The set changed for an acrobatic fight scene set in a market. I gasped and sighed at all the right moments. 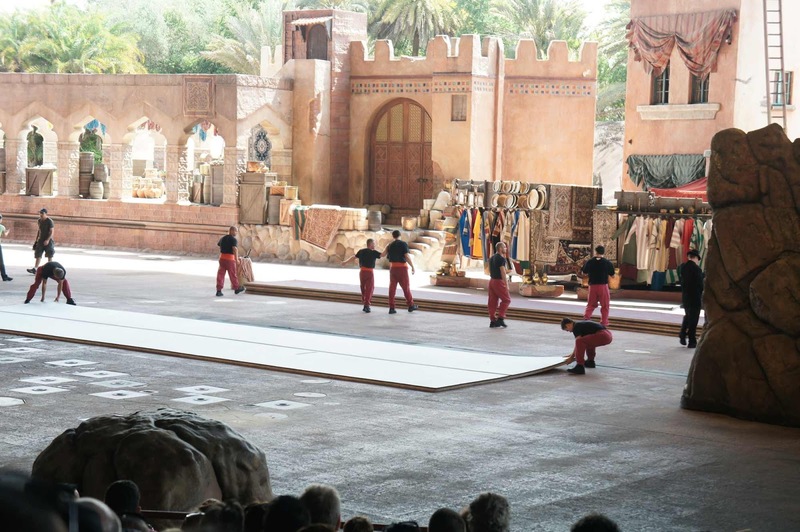 There was whip cracking, falling through rooves, acrobatic fights and fires. The production values were so high it really did feel as if we were on the set of an Indie movie. 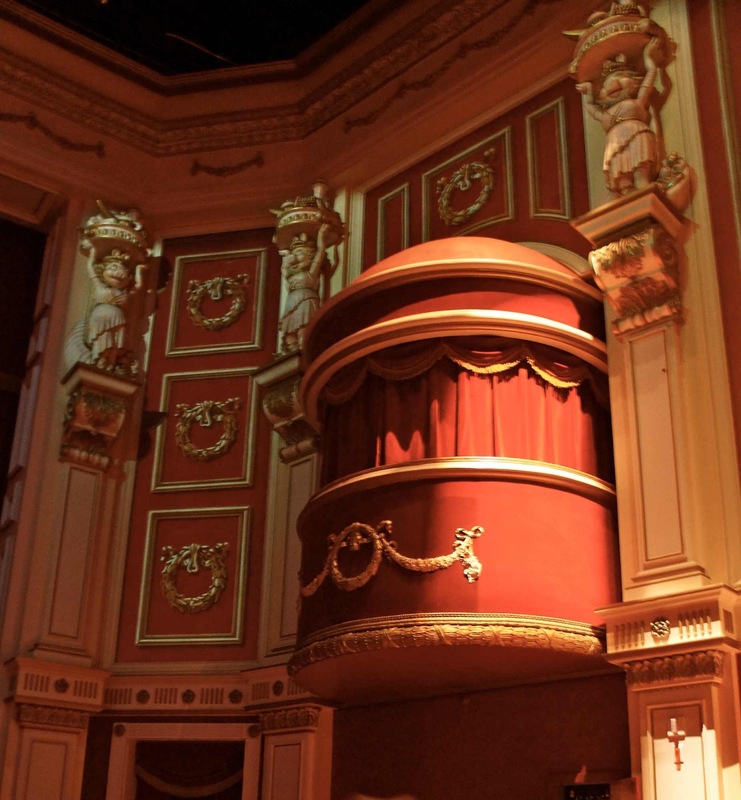 We changed tack for next show, a Muppets in 3D film. Couldn't resist taking this photo of the box where the grumpy old men sat. 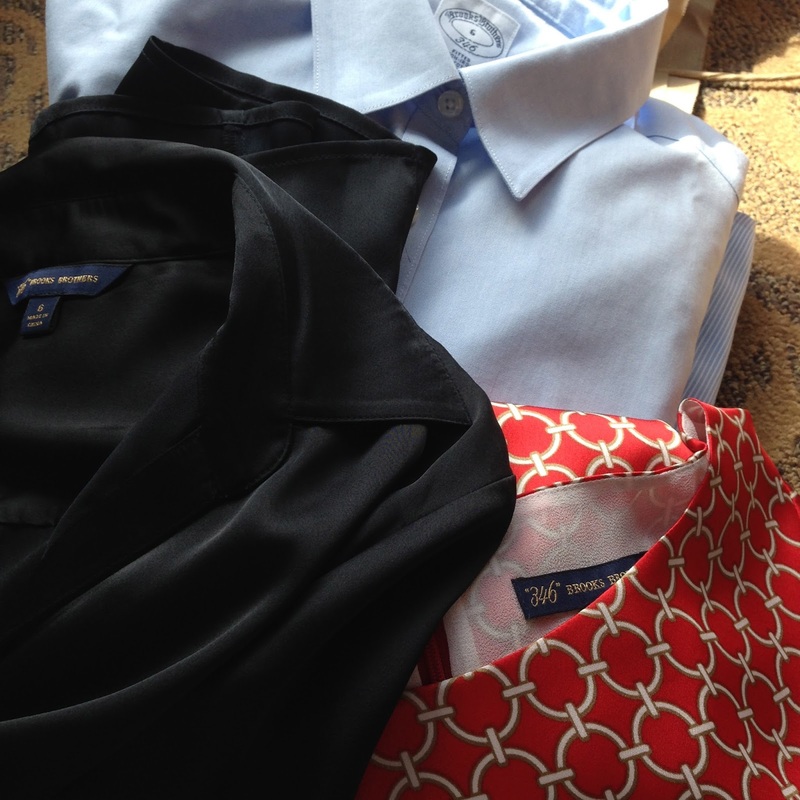 In other news, my work wardrobe has been overhauled courtesy of some excellent Brooks Brothers investments. My favourite thing is the drapy black shirt. 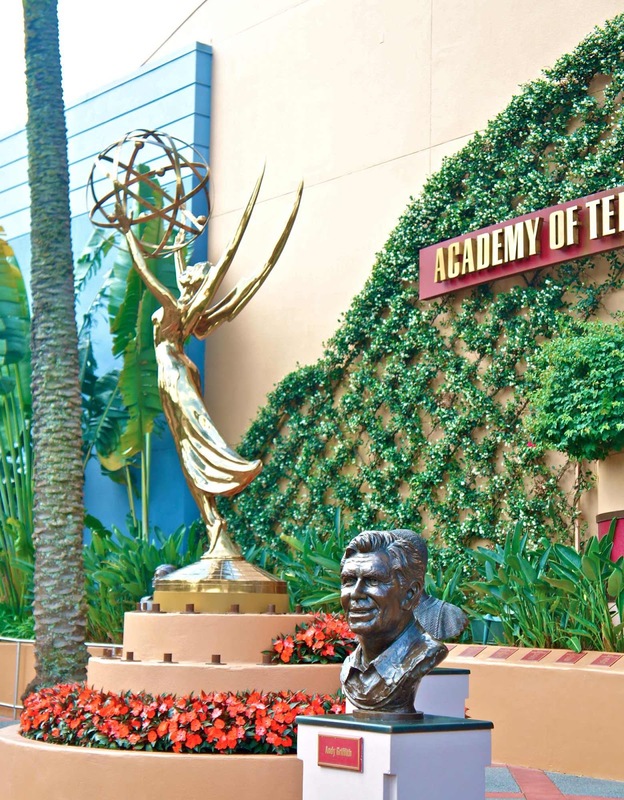 Hollywood Studios has something for everyone. There's a clever mix of the Disney favourites of all age groups with some pretty impressive merchandising to make sure you don't leave without at least one Disney Parks purchase in your hand. Some of Toddler SSG's Polo wardrobe. The sandals, I love the sandals. Speaking of toddlers, I was amazed at the number of babies and toddlers who were at the park. 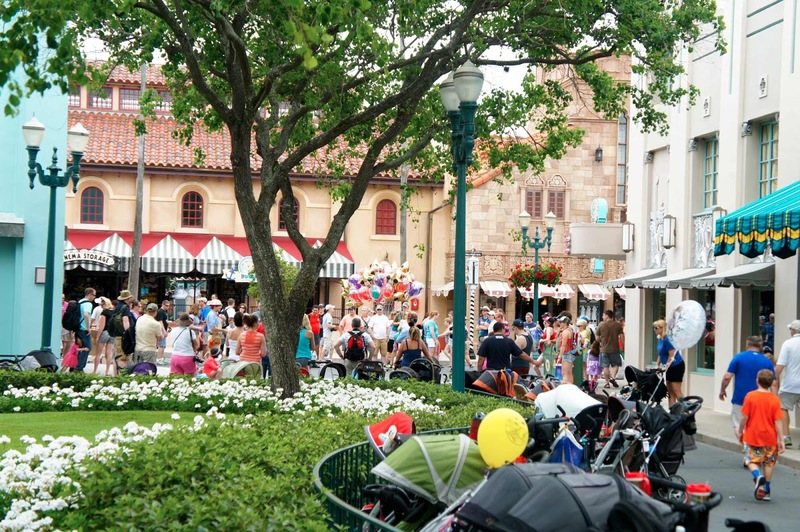 There were hundreds of prams parked in their designated areas all over Hollywood Studios. 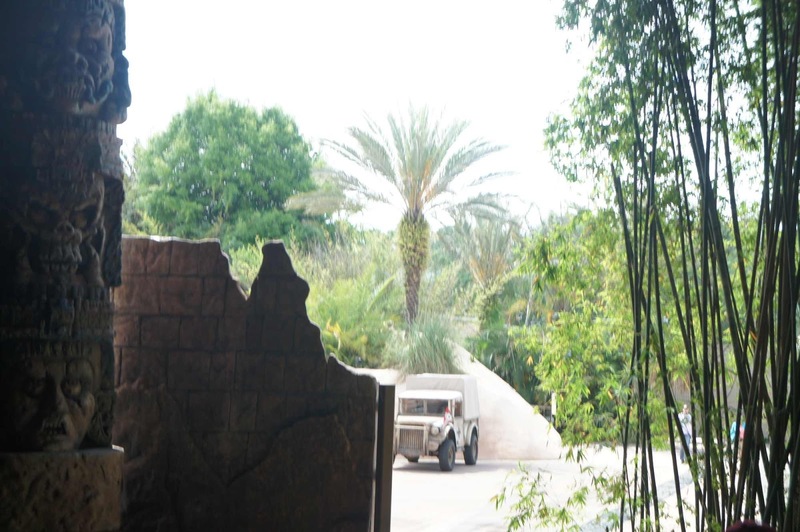 The little ones just seemed to mostly take it in their stride and napped between attractions. 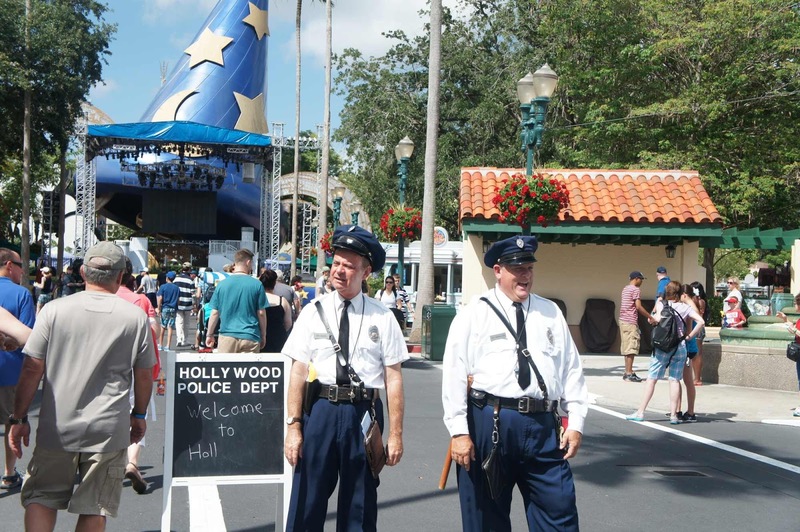 And that's about it from Hollywood Studios. The three of us were there for about 5 hours and managed to get through the whole park. We then went straight to Magic Kingdom for another 8 hours of well... magic. But more about that in my next post. In the mean time, more of the culinary highlights of the trip. Today was an exciting, vegetable filled day of eating. No cheese, no potatoes, nothing fried. 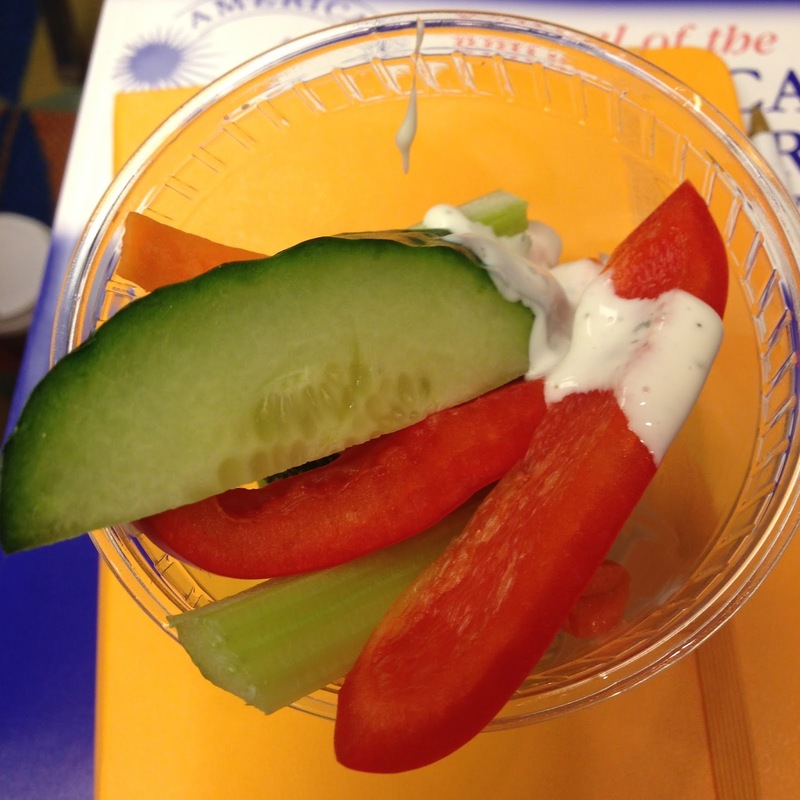 I fell upon the crudites at afternoon tea like a woman possessed. And at dinner I carb and broccoli loaded in preparation for a four hour assault on the other branch of Orlando Premium Outlets on Vineland Avenue. The one with Big Names like DVF and Burberry. Which I studiously avoided because the temptation would be too great. It turned out to be a wise move because I discovered J Crew! But that's a story for another day. I'm off to bed. Nearly midnight here and I have a 6am start. Take care and may the magic of Disney be with you. Looks wonderful! Can't wait to see your J.Crew haul. Love the photos, the Tribute tribute is such a good deal! That Mini Mouse headband is fabulous!